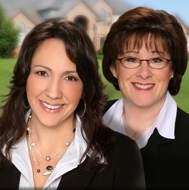 JoAnna and Gail's Real Estate Blog: Location, Condition and Curb Appeal! $335,000 - Location, Condition and Curb Appeal!! Well maintained 3 bedroom 2 bath ranch with huge full basement & 2 car garage in sought after Stonehurst. Bright entry with skylight leads to large living room & dining room. Spacious family room with recessed lighting and sliders to very large deck, pool & yard. Gleaming hardwood floors throughout. Open updated eat-in kitchen with skylight & laminate flooring. Master bedroom features attached updated full bath. Bedrooms are very bright and spacious. Whole house generator included! One year home owners warranty to the luck buyer. Don’t hesitate!